Detects both Mac and non-Mac threats, viruses, spyware, trojans, worms and adware, on your computer, network drives, external disks and downloaded from the internet or received by email. Optimised for macOS High Sierra. 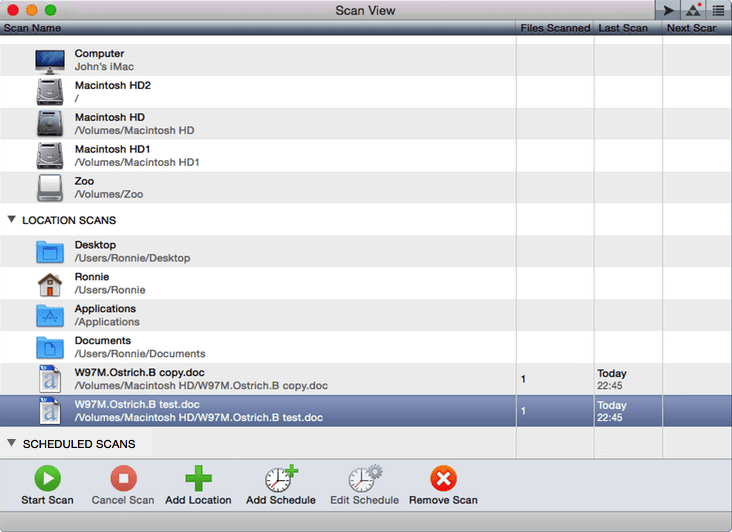 The file-access scanner, updating and scheduled scans all run in the background with minimal affect on CPU usage or computer performance. ProtectWorks AntiVirus 2.0 is designed to allow you to quickly identify and remove any threat that has been found on your computer. 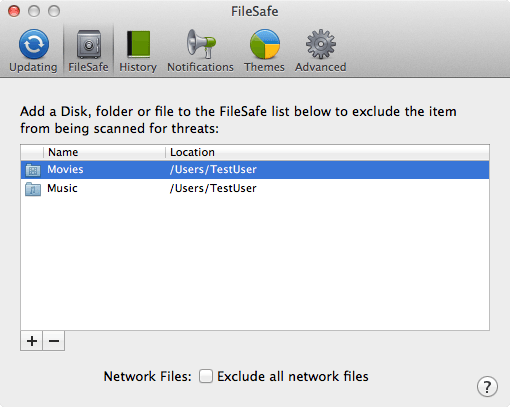 The file-access scanner runs in the background, checking every file that is used and prevents access to the file if it contains a threat. Files that contain threats are quarantined and cannot be accessed. 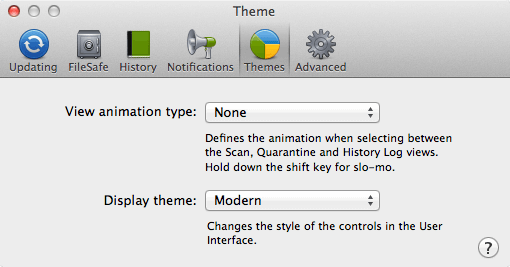 Perform a suitable action on the file via the Quarantine Manager. 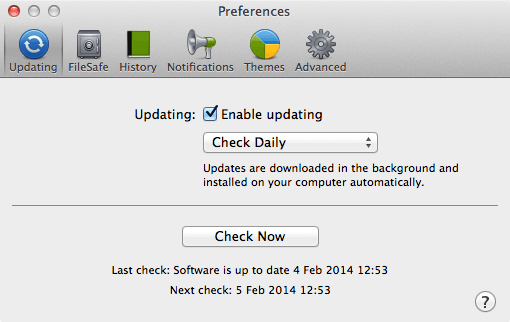 The software checks daily for updates and any new files or data are automatically downloaded and installed immediately. 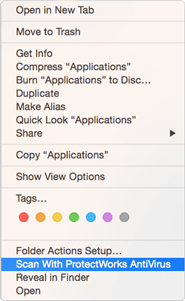 Choose either custom desktop notifications or OS X-style desktop notifications to be alerted when something needs your attention. Scheduled scans can run in the background at regular intervals or at specific times, or even when there has been an update to the threat data. An intuitive user-interface allows you to perform key tasks such as one-click Computer or Home folder scans, or scan any chosen location (which can also be done directly from the desktop), manage scheduled scans and access all the features of the software. The Scan View displays all the scans that have been setup, it shows all the standard Device and Location scans for your computer and any user-defined Location scans and Scheduled scans that you have configured. Multiple scans can run simultaneously and the status and progress of any running scan will be shown in the window. 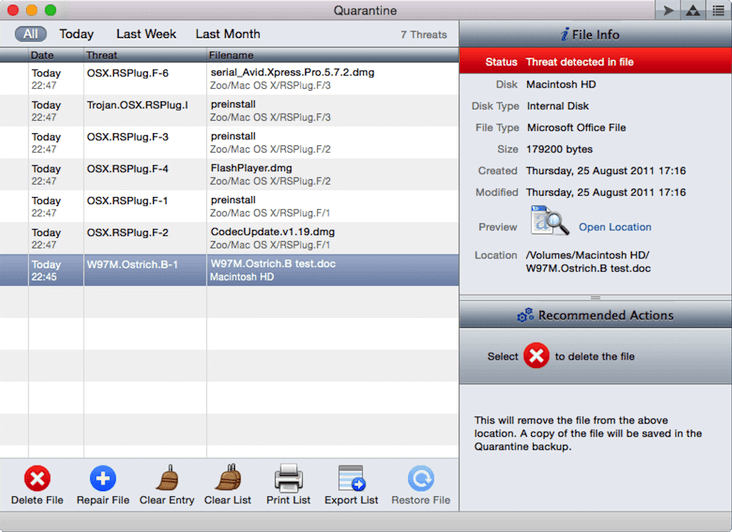 The Quarantine Manager provides details of any threat that has been found and allows you take the appropriate action, such as delete or repair the file. Deleted and Repaired files can be restored from the Quarantine backup or removed completely using the 'clear' buttons. Check out the File Info and Recommended Actions sections for more information on any threat that has been discovered. Export the threat list and all the associated information to a file so that you can review it later our send to Support for further analysis. 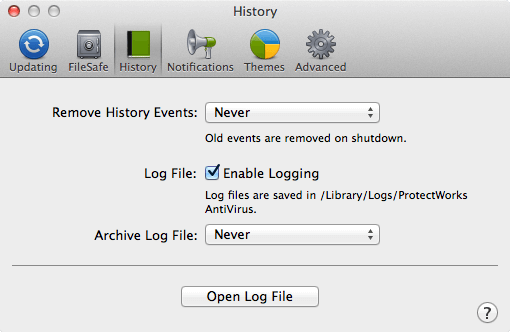 All events are recorded in the History Log and (optionally) in a log file. Multiple events can be viewed in detail in separate windows by clicking the Show Event button. The History can be configured to retain all information or have old items automatically purged. 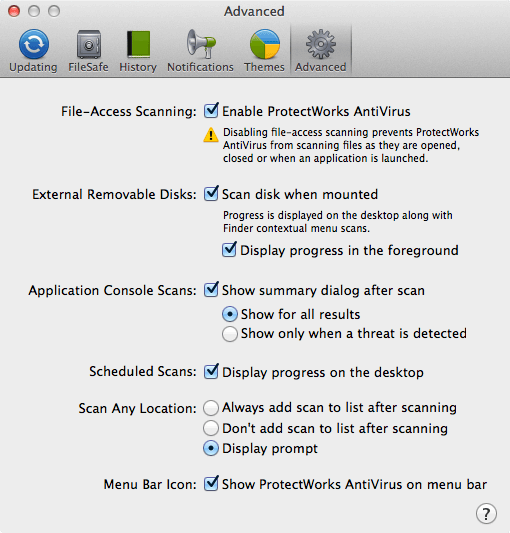 Scans are displayed on the desktop whenever a scheduled scan is running, an external removable disk appears on your desktop or when you choose ‘Scan With ProtectWorks AntiVirus’ from the Finder contextual menu or Finder > Services menu for a selected disk, folder or file. 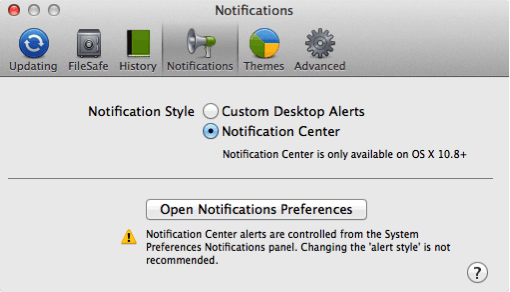 Standard Desktop alerts or OS X Notification Center style alerts (10.8 or later) can be chosen for all desktop notifications and warnings. Hover mouse cursor over image to pause the slideshow. 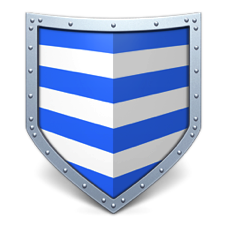 Detects all known Mac and Non-Mac viruses, spyware, trojans and worms. 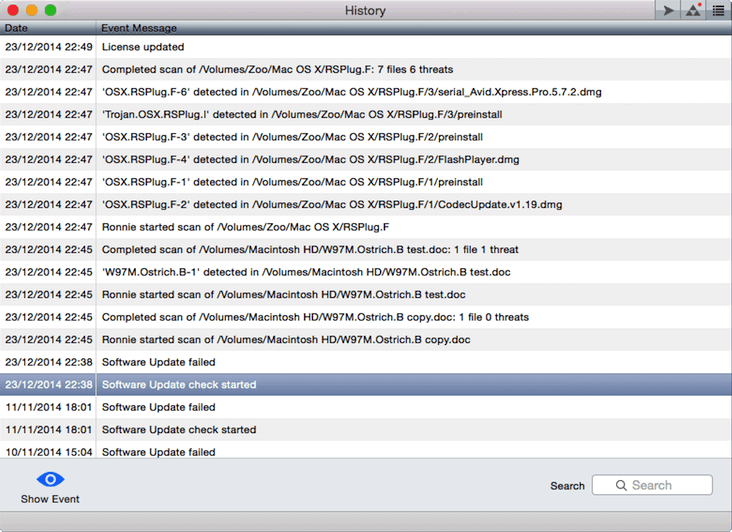 The software checks daily automatically for the latest threat data; users can perform manual update checks at any time via the menu bar icon or Update preferences. ProtectWorks offers a free Evaluation mode that provides the same protection and functionality as the full version. The evaluation runs for 30 days, thereafter, you will need to purchase a license and enter a key to continue using the software. 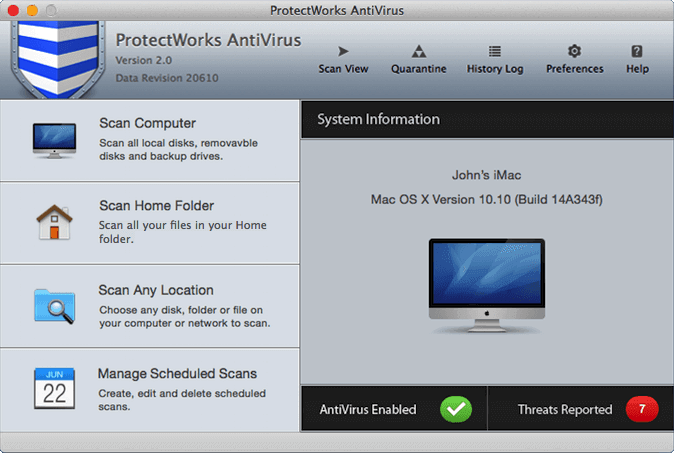 Download and run the ProtectWorks AntiVirus installer. If you have an earlier version of the software installed, your existing scan information, preferences and license details will be transferred during the installation. Full details of our Software License Agreement can be found on the following web page. Answers to Frequently Asked Questions about ProtectWorks AntiVirus can be found here. © 2018 ProtectWorks Limited is registered in England and Wales (Company Number: 6616956). VAT Reg No GB 948 2109 14.